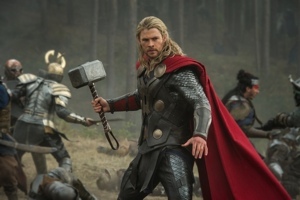 Phase Two of the Marvel Cinematic Universe is well underway with the release of Thor: The Dark World. 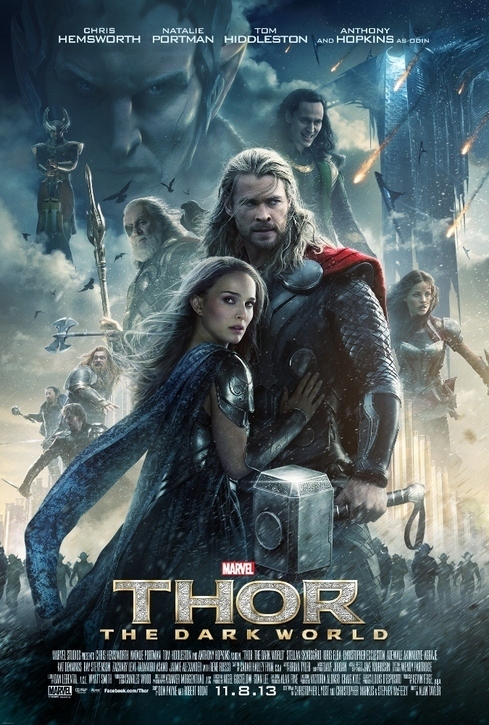 The sequel to 2011’s Thor stars Chris Hemsworth, reprising his role as the God of Thunder, as well as Tom Hiddleston as Loki–Thor’s treacherous stepbrother, Natalie Portman as Jane Foster–Thor’s human love interest, and Anthony Hopkins as Thor’s father Odin. 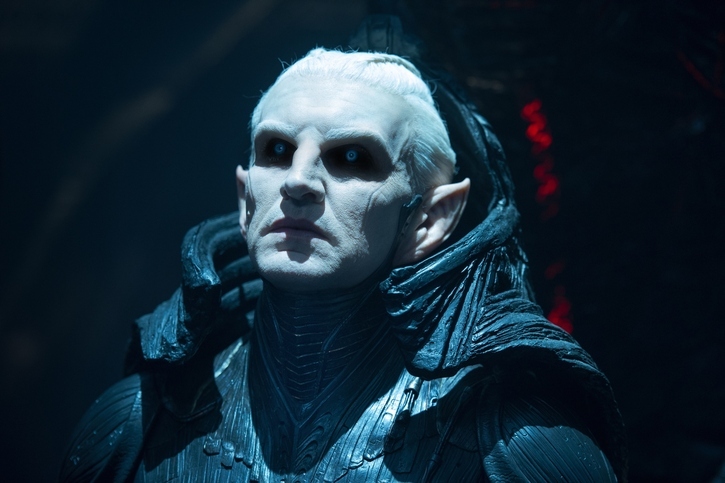 Joining the cast this time out is Christoher Eccleston as the film’s main heavy, Malekith. 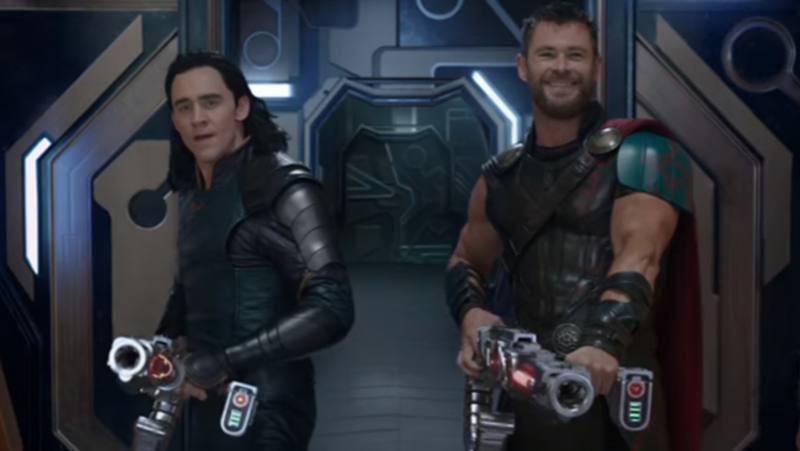 The first Thor movie was unexpectedly rousing and fun thanks to the cast’s performances and expert directing. This time out Alan Taylor takes over the directing duties in this tale that takes place a couple of years after the first Thor movie. Thor and Jane are still separated from each other after the wormhole that first brought the hero to Earth in the first film has been shattered. Thor: The Dark World introduces us to the Dark Elves, malevolent beings who wanted to use a weapon called the Aether to destroy the universe. Fortunately, the Dark Elves were defeated thousands of years ago by the Thor’s people, the Asgardians. But a handful of Dark Elves and their leader Malekith escaped and went into suspended animation. In the present day, Thor is in his home realm of Asgard and kept from returning to Earth and his love Jane Foster due to obligations. At this time, a space/time anomaly allows portals to open up everywhere and link worlds, including Earth. In London, Jane is unexpectedly sucked into one of these portals. Just as she is sucked into the passageway, Thor comes back to Earth looking for her and eventually reunites with Jane. 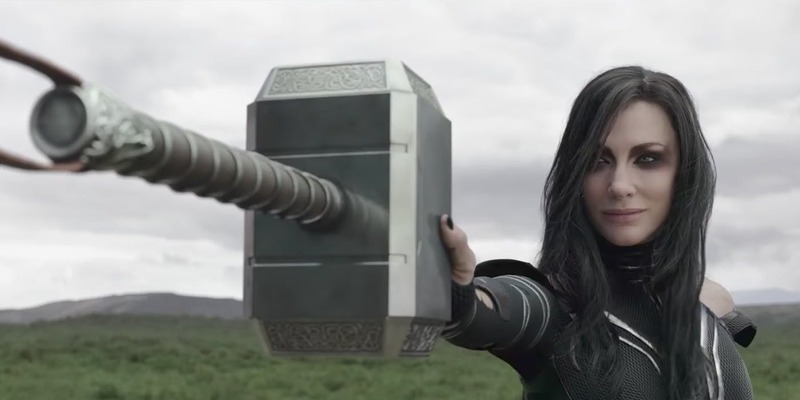 After they journey to Asgard, she and the Asgardians discover that the ancient Aether weapon is within her. Malekith is reawakened after sensing the Aether. Assembling his elven army, he uses this opportunity to attack Asgard to get the weapon and conquer the universe. As the Dark Elves wreck havoc on Thor’s world and threaten Earth, Thor is forced to turn to his imprisoned, hated stepbrother Loki for help in defeating Malekith and his vicious army. Whereas the first film introduced audiences to Thor’s rich, majestic world that was obviously inspired by Stan Lee and Jack Kirby’s early comic book stories, Thor: The Dark World presents us an expanded world taken from writer/artist Walt Simonson. Malekith was a supervillain introduced in Thor #344-349, which was during Simonson’s tenure on the title. Using the Dark Elves will please many Thor fans and general audiences who wanted to see something different in this sequel. The villain Kurse appears in this film and he is a faithful recreation from Simonson’s epic run. He looks like he stepped out from the comic books. 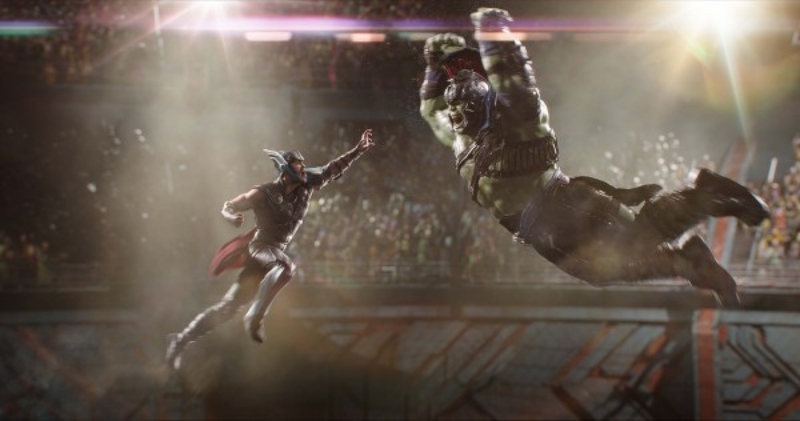 Overall, Thor: The Dark World is an enjoyable, humorous, and exciting adventure. However, it isn’t as satsifying as the first Thor movie. 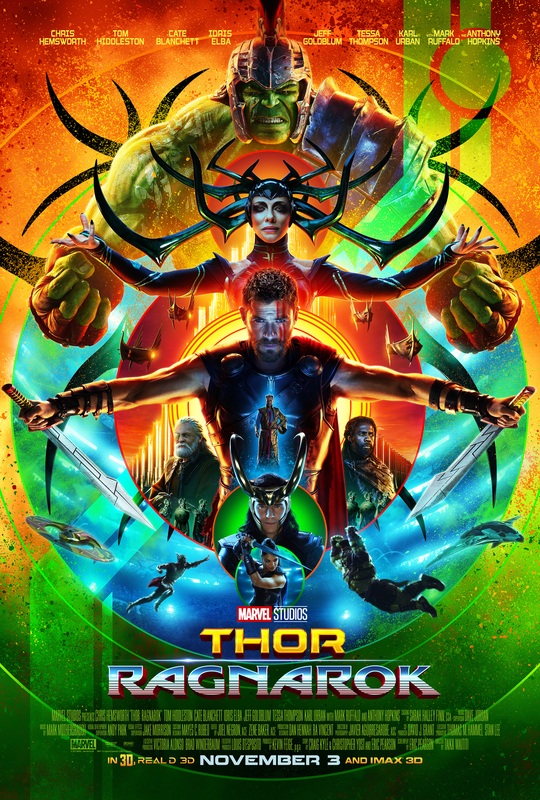 It does have a lot going for it, the special effects are top notch, as is the production design that showcases various worlds that Thor and Malekith battle in during their epic conflict. Regarding the acting, everyone does a fine job but Hiddleston steals each scene he’s in with his portrayal of Loki. Hiddleston simply doesn’t let go of his screentime. It’s clear that he relishes what he is doing and Loki is now the top villain in the Marvel Cinematic Universe. It’s unfortanate that Malekith can’t compare to that. On paper he is a good villain but he comes as a by-the-numbers foe for Thor that lacks Loki’s gravitas. The core issues with this film have to do with the feeling that the stakes are high this time out. Sure the universe is imperiled but it’s hard to feel as if there was any danger. We know that Thor and company will prevail, and even an important character death doesn’t have much impact. Adding to that problem is that Thor doesn’t have the emotional journey that he had in the first film. He doesn’t have to learn humility or any other lessons. Here, he’s an obedient son to Odin and is more of a traditional superhero with few faults. But now he doesn’t have that Arthurian journey to undergo. Still, this is a well-crafted movie that adds to the Marvel Cinematic Universe. Be sure to stick around for the two secret endings!